Small patterns of state 1 cells on an infinite, otherwise empty array of Conway's game of Life can produce sets of growing structures resembling in significant ways a population of spatially situated individuals in a nonuniform, highly structured environment. 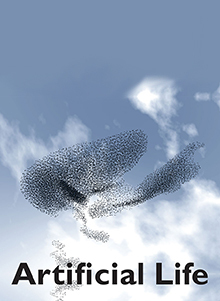 Ramifying feedback networks and cross-scale interactions play a central role in the emergence and subsequent dynamics of the quasi population. The implications are discussed: It is proposed that analogous networks and interactions may have been precursors to natural selection in the real world.